The Australasian Gaming Expo 2018 will be taking place between 14 – 16 August 2018 and it will gather for the 28th year in a row, leading enterprises in the industry. The Gaming Technology Association is once again the organizer, and the big event will take place at the International Convention Centre Sidney. For those that activate in the accommodation industry, but also casinos and clubs, attendance is a no-discussion topic. 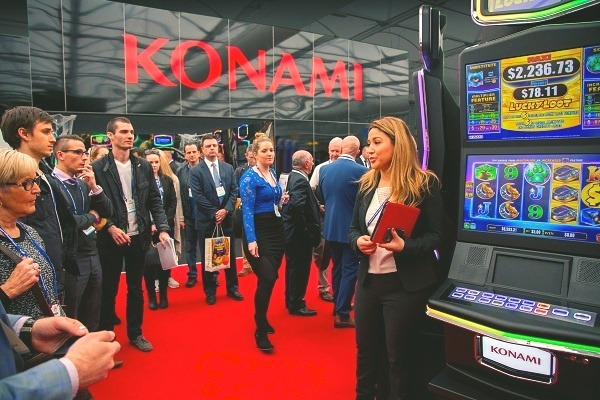 With the main purpose to announce the latest innovations in the gaming industry, new networking opportunities and a launching opportunity for association developing the latest gaming technologies, the event is a true learning opportunity, featuring a series of seminars, during the three-day exhibition. Some new additions that caught everybody’s attention for this year’s line-up are the Networking Zone and the “First Timers” Program. The Networking Zone is expected to be the heartbeat of the Expo, as it will allow businesses in the industry to get in touch with each other, bond collaboration relationships with fellow businesses that activate in the casino, club and accommodation industry, as Ross Ferrar, CEO of Gaming Technologies Association claims. The Networking Zone will have a specifically tailored a Networking Lounge, as a better context for these connections to take place and develop. The First Timers Program will welcome those businesses that are new to this event, but also all the other new attendees. Those that will attend the First Timers Program will be presented the premises by a guide; they will be presented with some of the hottest areas of the expo and will also benefit from a dedicated networking event that will help newcomers get in touch with each other and get the most out of this event. A hot topic that will be touched during the expo will be, just like last year, the importance of proper and meaningful education and professional development in the industry. During the entire event, the seminars will take place according to a schedule. Last year, only two of the three days included seminars, which brings a little extra for everybody that is attending the event in 2018. With a big emphasis on emerging and disruptive technologies in the gaming, hospitality industry but also regarding the client and their needs in Australasia, this year’s program is expected to surpass everybody’s expectations in terms of meaningful and relevant information offered to businesses in all related industries. This is one of the main reasons the event’s organizers think that the impressive number of 6,000 attendees will be outnumbered this year. Also, the importance of the millennial generation and the disruptions brought in the industry are to be debated, besides the usual regulations, politics, and practices that are characteristic to the industry. The whole event has a webpage dedicated to it, with plentiful information regarding the hot speakers, but also a detailed schedule of the whole event, including the seminars that are expected to take place during each day of the event.